Animal testing was once the most widely used tool to evaluate product safety. It’s still a common practice in cosmetic testing, depending on which markets the product is being sold in. For instance, China insists that all cosmetic products are tested on animals to meet regulatory requirements for sale in their country. Animals are still widely used for testing in medical research, as well. There are, however, other models of testing that have proven to be extremely accurate. For cosmetic testing especially, animal skin will often not react the way that human skin will to the same tests. With the current technology available, there are alternative approaches to testing which are often more cost effective with a higher rate of accuracy. These methods might be used to replace animal testing initiatives or to supplement research for better samplings of data and more precise results. In Vitro testing offers a great alternative to animal testing. We’ve covered how effective in vitro testing has been in the European market where animal testing is banned. There’s also heavy evidence within the scientific community that this method may be capable of providing more rapid results which are more accurate than past testing methods. In vitro methods isolate the tissue or cells, without other variables that may take place within the organism as a whole. The field is continuously advancing and currently offers a more rapid result rate and high accuracy. There are many thoughts that this may eventually replace previous testing methods. For cosmetic testing, in vitro options are excellent for ocular and dermal irritation tests. In Vitro International offers tests like the Ocular/Dermal Irritection Assay Systems which allow you to access accurate results within a 24 hour period. Animal testing methods often take weeks and, because they don’t use human samples, sometimes don’t have as high of a rate of accuracy. These Irritection Assay Systems are less expensive than in vivo tests, show a high rate of accuracy, are reproducible, and it takes a fraction of the time to complete and access the data. In Vitro International also has an in vitro test to determine corrosivity of a substance. Their Corrositex test replaces the past used rabbit test. This test offers much faster results – as little as a few minutes up to a few hours. Animal testing methods can take anywhere from two to four weeks. It’s also a significant cost savings and meets regulatory compliance in a vast number of agencies. In Vitro International provides lab services for companies that wish to outsource their testing, as well. They provide consultation with lab customers and create customized test protocols when necessary. Stem cell testing is one of the alternatives to animal testing that the medical community has been working with heavily. While stem cells are often discussed with regard to regenerative properties, they also offer a wealth of information on diseases, and the treatment of diseases. Today they’re being used with some amazing progress in the field of studying toxicity. Because stem cells utilize human cells, there’s an improvement in prediction rate – animal testing has only a 70% accuracy rate because there are differences in the species. Going forward, stem cell testing may prove more accurate and effective. Genetic testing is the wave of the future in medicine. These models allow for a better overall understanding of the individual patient’s predisposition for certain illnesses and conditions that may go beyond environment. Genetic testing is also used to offer more personalize approaches to medication and treatment. Skin care and cosmetic companies have also started to see the benefit in offering personalized products based on genetics. Using genomic technologies, some companies are offering personalized skin care, such as acne relief, based on DNA results. Simulations offer another great testing option. While these are not thought to be as reliable as animal testing or other forms of testing on live cells, they can yield an abundance of information to help streamline animal and other testing. Computer models offer a way to decrease the number of animals used in testing and to simulate other scenarios with high accuracy. This addition to the testing options allows for better efficiency and an improvement on the humane treatment of testing animals. 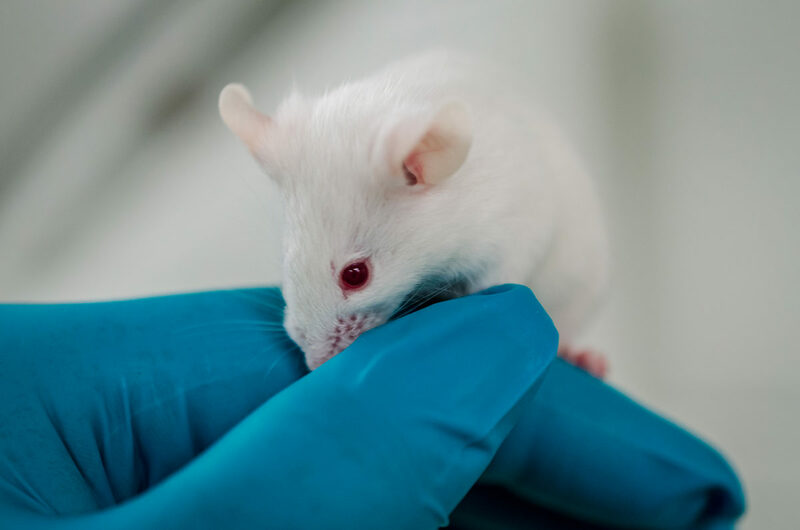 Animal testing will remain a staple of scientific testing in the near future because it is currently the best method to test within a living organism. However, other methods can mean higher accuracy, shorter testing periods, and better informed data when used in conjunction with animal testing. It’s likely that some of these models will eventually evolve to replace older methods of testing as they advance.